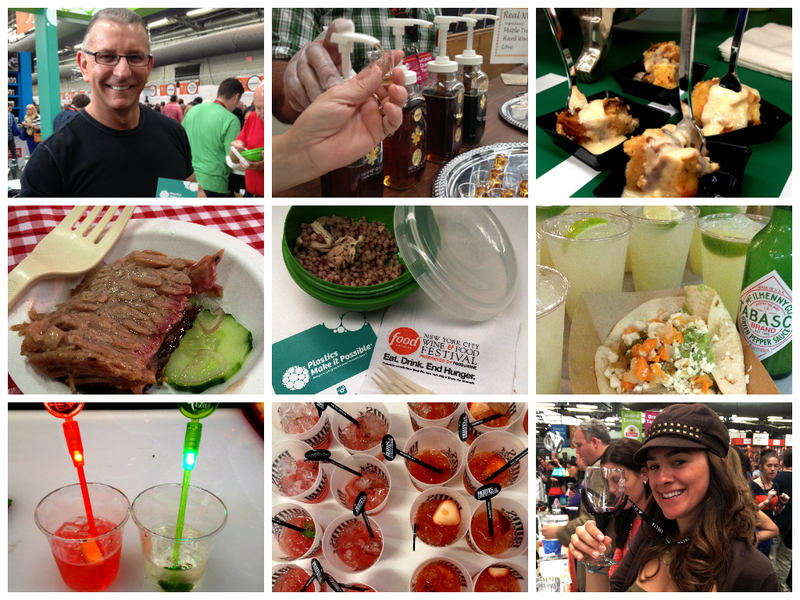 SPONSORED POST – NYC Wine & Food Festival Grand Tasting: Food, Booze and… Plastic?! If you’re reading this website, it’s highly likely that you love to eat, cook and imbibe. And if you enjoy those actions the same way I do, you’re typically focused on the quality of the food and drink, not the serving dish or glassware. But if you stop and think for a second about how your food and drink is actually served, you’ll realize it’s a big part of the experience. And few materials play a bigger role in that than plastic. Why do I bring this up? Well today I was asked to eat and drink my way through the New York City Wine & Food Festival Grand Tasting, complements of Plastics Make It Possible, and look for cool ways plastic is used in serving and preparing food and drink. And guess what? Despite the fact that I got paid a few clams to do the job, I actually enjoyed my role as plastic detective. It was fun taking a new angle on food exploration and discovering how plastic, something I generally pay no attention to, is actually integral to my edible enjoyment. Plastics help me save food and money by keeping ingredients and leftovers fresh while lightweight plastic packaging protects food and helps the environment by reducing waste and fuel consumption in transport. So next time you grab a meal or a drink, take a second to look around and see how plastic interacts with your experience, because after all it’s the little things that make the difference!